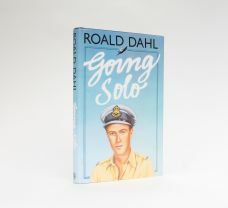 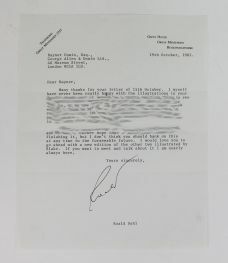 ROALD DAHL, A TRIBUTE. 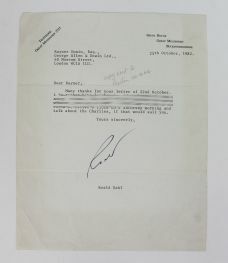 13 September, 1916 - 23rd November. 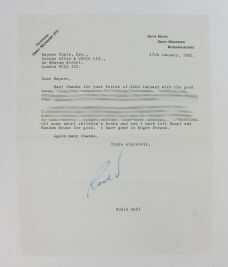 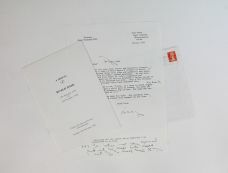 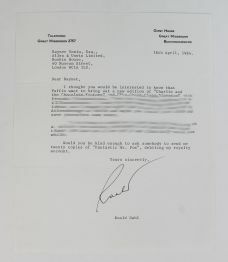 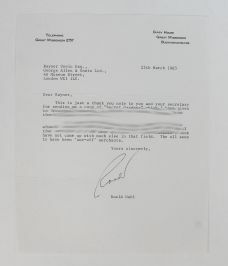 TYPED LETTER SIGNED FROM ROALD DAHL TO HIS PUBLISHER RAYNER UNWIN.